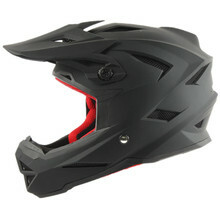 The LS2 FF392 Junior full-face helmet offers kids the look, feel and features of a full-sized lid at a very affordable price. 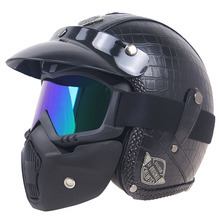 The aerodynamic, lightweight shell is made of LS2’s HTPP polycarbonate alloy. The flow-through ventilation is fully adjustable. Just like its big brother, the comfort liner uses 3D laser cut foam for a comfortable, precise fit. It includes LS2’s Short-Shift tool-less quick release to make swapping the shield a breeze. The liner is fully removable and washable. It even has a quick release strap for a secure fit and easy on and off.